Green Monkey built by the edge of the lake Peten Itza offers you more than stunning lake view, fresh clean dorms and private rooms (each with bathrooms) for solo traveler, couple or family. Free breakfast and WiFi is included. 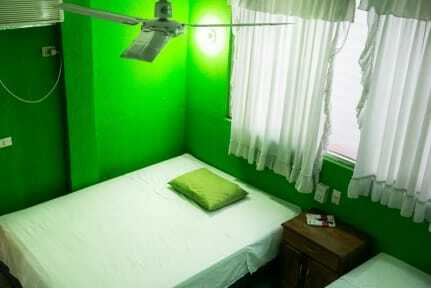 Hostel Green Monkey is unique place on island that has functioning ATM. We have a full well-equipped kitchen for your masterpieces, 2 terraces to chill & relax, a meeting room, showers with hot water, lockers and everything else to make your stay comfortable. Check out paddle-boarding and Tikal tours with our experienced guides. 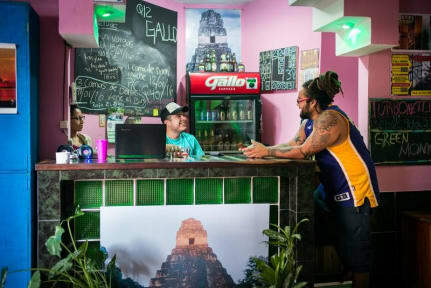 Also there is a travel agency in hostel - only place where you can take a bus to Belice, Bacalar (Mexico) or Tulum. The staff are happy to provide you with all tour and shuttle information. We have an extensive knowledge of the surrounding areas, routes and tours on offer.